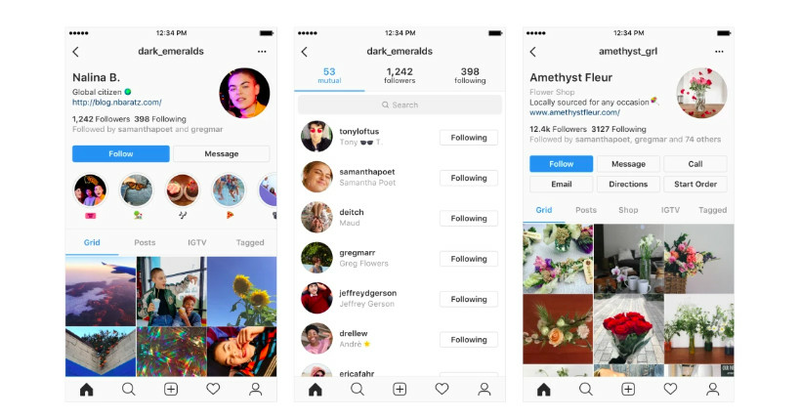 Instagram announced on its press site today that the company is testing out new user profile layouts. “Over the next several weeks, you may see features re-arranged at the top of your profile including changes to icons, buttons and the way you navigate between tabs,” the blog post explains. Your photo grids will be safe, though, so you can breathe easy. Examples of potential changes can be seen above. The most notable part of the redesign is that follower counts appear to be de-emphasized, as they’re no longer at the top of your profile and are in a much smaller font. Twitter recently made a similar change to its iOS app, as the company thinks about how to prioritize “meaningful” conversation on the platform rather than focusing on numbers. Instagram is no doubt thinking about authenticity on its platform as well, as the company also recently started cracking down on fake followers, comments, and likes. Instagram says it’s working on these changes, and will be testing out different combinations in phases over the next few weeks. The company says it’ll keep experimenting with profiles based on feedback, so if you’re absolutely opposed to having an IGTV tab, better let them know.